While more and more people get unemployed every day in Greece, while another suicide of a desparate indebted man is joining the statistics, while democracy is being undone by tons of tear gas, some people see the financial crisis as an opportunity. Rich Greeks who got their euros in Swiss banks and are now betting on the return to the drachma see it as an opportunity. Foreign companies who, after the voting of Memorandum No2, will be able to employ young Greeks for as low as 450 euros per month for a full time job see it as an opportunity. And some advertisers who exhausted their creativity into some happy footage from Greece, accompanied by Liverpool’s legendary anthem, saw the financial crisis (and the accompanied social misery not visible in the video) as an opportunity. Here’s the result. The campaign’s website by Johnnie Walker is here. These are the basic decisions that have been agreed in the so-called Memorandum No2. • Greek leaders have agreed to spending cuts worth 1.5pc of gross domestic product (GDP) this year, or €3.3bn (£2.77bn). By Thursday morning, savings had been agreed to cover all but €300m of that amount. • The cuts include €400m from public investment, €300m from the defence budget and €300m from pensions. • In June, whichever government is in charge following expected elections will have to specify additional austerity measures worth €10bn for 2013-2015. • Greece will be given an extra year, until the end of 2015, to meet a primary surplus target (excluding interest payments). • Banks with major problems will be recapitalised with common voting shares while those with lesser problems will be recapitalised with bonds convertible into shares with restricted voting rights. • The minimum wage will be cut by 22pc. However, this will not drag down the entire wage scale, applying only to new hires. New entrants into the labour market, i.e. those getting their first job, will receive a sub-minimum wage 30pc below the current minimum wage, which now stands at about €750 (this is around 590 euros after tax). Those under 25 will be affected the most. • About 15,000 state workers will be placed in a “labour reserve”, meaning they will be placed on partial pay and dismissed after a year. • The government aims to cut the state sector workforce by about 150,000 people by 2015. Greek news portal Capital.gr has a link for the full draft text here. (some pages are missing – no explanation why). A possible explanation for the missing page 20 (one of the missing pages from Capital.gr is a handwritten note saying “Goodbye debt, Goodmorning poverty”. It’s still unknown who’s notes these were. I read a short essay by Plutarch yesterday. It’s 2.000-year-old text against the notion of borrowing. “Against borrowing money” is the essay’s title and it’s part of his book on Morals. Of course he wasn’t an economist so you won’t find financial doctrines in it. But the simple fact of reading a Greek ancestor who has written simple ideas on the notion of borrowing/lending makes it, well, ironic if not tragic. And then we go back to our news channels and our dear government and we listen things like “we didn’t know” or “there was no alternative”. Go on, give it a try, it’s long but not too much. Sec. II. Why pay court to the banker or trader? Borrow from your own table. You have cups, silver dishes, pots and pans. Use them in your need. Beautiful Aulis or Tenedos will furnish you with earthenware instead, purer than silver, for they will not smell strongly and unpleasantly of interest, a kind of rust that daily soils your sumptuousness, nor will they remind you of the calends and the new moon, which, though the most holy of days, the money-lenders make ill-omened and hateful. For those who instead of selling them put their goods out at pawn cannot be saved even by Zeus the Protector of Property: they are ashamed to sell, they are not ashamed to pay interest on their goods when out at pawn. And yet the famous Pericles made the ornament of Athene, which weighed forty talents of fine gold, removable at will, for “so,” he said, “we can use the gold in war, and at some other time restore as costly a one.” So should we too in our necessities, as in a siege, not receive a garrison imposed on us by a hostile money-lender, nor allow our goods to go into slavery; but stripping our table, our bed, our carriages, and our diet, of superfluities, we should keep ourselves free, intending to restore all those things again, if we have good luck. Sec. III. So the Roman matrons offered their gold and ornaments as first-fruits to Pythian Apollo, out of which a golden cup was made and sent to Delphi;  and the Carthaginian matrons had their heads shorn, and with the hair cut off made cords for the machines and engines to be used in defence of their country. But we being ashamed of independence enslave ourselves to covenants and conditions, when we ought to restrict and confine ourselves to what is useful, and dock or sell useless superfluities, to build a temple of liberty for ourselves, our wives, and children. The famous Artemis at Ephesus gives asylum and security from their creditors to debtors, when they take refuge in her temple; but the asylum and sanctuary of frugality is everywhere open to the sober-minded, affording them joyful and honourable and ample space for much ease. For as the Pythian Priestess told the Athenians at the time of the Median war that the god had given them wooden walls,  and they left the region and city, their goods and houses, and took refuge in their ships for liberty, so the god gives us a wooden table, and earthenware plate, and coarse garments, if we wish to live free. Care not for fine horses or chariots with handsome harness, adorned with gold  and silver, which swift interest will catch up and outrun, but mounted on any chance donkey or nag flee from the hostile and tyrannical money-lender, not demanding like the Mede land and water,  but interfering with your liberty, and lowering your status. If you pay him not, he duns you; if you offer the money, he won’t have it; if you are selling anything, he cheapens the price; if you don’t want to sell, he forces you; if you sue him, he comes to terms with you; if you swear, he hectors; if you go to his house, he shuts the door in your face; whereas if you stay at home, he billets himself on you, and is ever rapping at your door. Sec. IV. How did Solon benefit the Athenians by ordaining that debtors should no longer have to pay in person? For they are slaves to all money-lenders,  and not to them only, what would there be so monstrous in that? but to their slaves, who are insolent and savage barbarians, such as Plato represents the fiery torturers and executioners in Hades who preside over the punishment of the impious. For they make the forum a hell for wretched debtors, and like vultures devour and rend them limb from limb, “piercing into their bowels,”  and stand over others and prevent their tasting their own grapes or crops, as if they were so many Tantaluses. And as Darius sent Datis and Artaphernes to Athens with manacles and chains in their hands for their captives, so they bring into Greece boxes full of bonds and agreements, like fetters, and visit the towns and scour the country round, sowing not like Triptolemus harmless corn, but planting the toilsome and prolific and never-ending roots of debts, which grow and spread all round, and ruin and choke cities. They say that hares at once give birth and suckle and conceive again, but the debts of these knaves and barbarians give birth before they conceive; for at the very moment of giving they ask back, and take up what they laid down, and lend what they take for lending. Sec. V. It is a saying among the Messenians, that “there is a Pylos before Pylos, and another Pylos too.” So it may be said with respect to these money-lenders, “there is interest before interest, and other interest too.” Then of course they laugh at those natural philosophers who say that nothing can come of nothing, for they get interest on what neither is nor was; and they think it disgraceful to farm out the taxes, though the law allows it, while they themselves against the law exact tribute for what they lend, or rather, if one is to say the truth, defraud as they lend, for he who receives less than he signs his name for is defrauded. The Persians indeed think lying a secondary crime, but debt a principal one, for lying frequently follows upon debt, but money-lenders tell more lies, for they make fraudulent entries in their account-books, writing down that they have given so-and-so so much, when they have really given less. And the only excuse for their lying is covetousness, not necessity, not utter poverty, but insatiable greediness, the outcome of which is without enjoyment and useless to themselves, and fatal to their victims. For neither do they farm the fields which they rob their debtors of, nor do they inhabit their houses when they have thrust them out, nor use their tables or apparel, but first one is ruined, and then a second is hunted down, for whom the first one serves as a decoy. For the bane spreads and grows like a fire, to the destruction and ruin of all who fall into their clutches, for it consumes one after another; and the money-lender, who fans and feeds this flame to ensnare many, gets no more advantage from it but that some time after he can take his account-book and read how many he has sold up, how many turned out of house and home, and track the sources of his wealth, which is ever growing into a larger pile. So one after another usurer or trader gets hold of the poor wretch, hailing either from Corinth, or Patrae, or Athens, till he gets set on to by them all, and torn to bits, and cut into mince-meat as it were for his interest. For as a person who is fallen into the mire must either get up out of it or remain in it, and if he turns about in it, and wallows in it, and bedabbles his body all over in it, he contracts only the greater defilement, so by borrowing from one person to pay another and changing their money-lenders they contract and incur fresh interest, and get into greater liabilities, and closely resemble sufferers from cholera, whose case does not admit of cure because they evacuate everything they are ordered to take, and so ever add to the disease. So these will not get cleansed from the disease of debt, but at regular times in the year pay their interest with pain and agony, and then immediately another creditor presents his little account, so again their heads swim and ache, when they ought to have got rid of their debts altogether, and regained their freedom. Sec. VIII. I now turn my attention to those who are rich and luxurious, and use language like the following, “Am I then to go without slaves and hearth and home?” As if any dropsical person, whose body was greatly swollen and who was very weak, should say to his doctor, “Am I then to become lean and empty?” And why not, to get well? And do you too go without a slave, not to be a slave yourself; and without chattels, not to be another man’s chattel. Listen to a story about two vultures; one was vomiting and saying it would bring its inside up, and the other who was by said, “What harm if you do? For it won’t be your inside you bring up, but that dead body we devoured lately.” And so any debtor does not sell his own estate, or his own house, but his creditor’s, for he has made him by law master of them. Nay, but by Zeus, says one, my father left me this field. Yes, and your father also left you liberty and a status in the community, which you ought to value more than you do. And your father begot you with hand and foot, but should either of them mortify, you pay the surgeon to cut it off. Thus Calypso clad and “dressed” Odysseus “in raiment smelling sweet,”  like the body of an immortal, as a gift and token of her affection for him; but when his vessel was upset and he himself immersed, and owing to this wet and heavy raiment could hardly keep himself on the top of the waves, he threw it off and stripped himself, and covered his naked breast with Ino’s veil,  and “swam for it gazing on the distant shore,”  and so saved his life, and lacked neither food nor raiment. What then? have not poor debtors storms, when the money-lender stands over them and says, Pay? Thus interest rolls on interest as wave upon wave, and he that is involved in debt struggles against the load that bears him down, but cannot swim away and escape, but sinks to the bottom, and carries with him to ruin his friends that have gone security for him. But Crates the Theban, though he had neither duns nor debts, and was only disgusted at the distracting cares of housekeeping, gave up a property worth eight talents, and assumed the philosopher’s threadbare cloak and wallet, and took refuge in philosophy and poverty. And Anaxagoras left his sheep-farm. But why need I mention these? since the lyric poet Philoxenus, obtaining by lot in a Sicilian colony much substance and a house abounding in every kind of comfort, but finding that luxury and pleasure and absence of refinement was the fashion there, said, “By the gods these comforts shall not undo me, I will give them up,” and he left his lot to others, and sailed home again. But debtors have to put up with being dunned, subjected to tribute, suffering slavery, passing debased coin, and like Phineus, feeding certain winged Harpies, who carry off and lay violent hands on their food, not at the proper season, for they get possession of their debtors’ corn before it is sown, and they traffic for oil before the olives are ripe; and the money-lender says, “I have wine at such and such a price,” and takes a bond for it, when the grapes are yet on the vine waiting for Arcturus to ripen them. Page 844, A. B. C.
 Reading with Wyttenbach [Greek: didousi] and [Greek: echousi]. See Herodotus, vii. 141-143; viii. 51. Reading with Reiske [Greek: katachrusa]. The technical term for submission to an enemy. See Pausanias, iii. 12; x. 20. Herodotus, v. 17, 18; vii. 133. Reading with Reiske [Greek: daneistais]. Perhaps [Greek: aphanistais] originally came after [Greek: agriois], and got somehow displaced. See Homer, “Odyssey,” xi. 578, 579, and context. The text was taken from Project Gutenberg’s archive on Plutarch’s works. You can find the whole book of Morals here. I just read a detailed account of the backstage negotiations during last Spring and the dramatic, for the EU and especially for Greece, months that followed. It’s a must read for anyone interested. It is the product of a Wall Street Journal investigation, based on more than two dozen interviews with euro-zone policy makers. It reveals how the currency union floundered in indecision—failing to address either the immediate concerns of investors or the fundamental weaknesses undermining the euro. The consequence was that a crisis in a few small economies turned into a threat to the survival of Europe’s common currency and a menace to the global economy. Enjoy the reading. It’s long, even though slightly reduced by me, so go get some coffee and a couple of cigarettes. At a closed-door meeting in Washington on April 14, Europe’s effort to contain its debt crisis began to unravel. Inside the French ambassador’s 19-bedroom mansion, finance ministers and central bankers from the world’s largest economies heard Dominique Strauss-Kahn, then-head of the International Monetary Fund, deliver an ultimatum. Greece, the country that triggered the euro-zone debt crisis, would need a much bigger bailout than planned, Mr. Strauss-Kahn said. Unless Europe coughed up extra cash, the IMF, which a year earlier had agreed to share the burden with European countries, wouldn’t release any more aid for Athens. The warning prompted a split among the euro zone’s representatives over who should pay to save Greece from the biggest sovereign bankruptcy in history. European taxpayers alone? Or should the banks that had lent Greece too much during the global credit bubble also suffer? The IMF didn’t mind how Europe proceeded, as long as there was clarity by summer. “We need a decision,” said Mr. Strauss-Kahn. The dispute at the Washington meeting divided two of the Continent’s grand old men, both of them born in 1942 and both among the fathers of the euro. Wolfgang Schäuble, Germany’s ascetic and irascible finance minister, understood the IMF’s ultimatum. The euro zone would have to draw up a second bailout package for Greece by summer, just a year after a loan deal for €110 billion, or $140 billion. But this time, Mr. Schäuble said, “We cannot just buy out the private investors” with taxpayer money. That would reward reckless lending, he said, and it would never get through an increasingly impatient German parliament. Greece’s bondholders would be required to lend more money, Mr. Schäuble proposed, rather than take payment for their bonds at maturity. Mr. Trichet, in the twilight of a 36-year career as a finance official, feared that if Greece didn’t honor its bond debts on time, the implicit trust that kept credit flowing to many weak euro-zone governments would shatter. More countries and their banks would lose access to capital markets, in a chain reaction with incalculable consequences. The April meeting ended inconclusively. Meanwhile, the cost for fixing Greece was rising. The Athens government’s budget deficit was stuck at a stubbornly high level. Italian and Spanish borrowing costs were still affordable and stable. The yield on Spain’s 10-year bonds hovered around 5.3%; on Italy’s, around 4.6%. The debate over making bondholders contribute to the new funding package for Greece—known as private-sector involvement, or PSI—divided euro-zone countries. Germany had allies. In the Netherlands and Finland, new governments had promised voters they wouldn’t pay for problems in less-frugal Mediterranean countries. Breaking those promises would risk rebellions in parliament. But France joined the ECB in resisting burden-sharing by bondholders. France’s banks had lent more heavily than Germany’s to Greece and other indebted euro nations, and France fretted about a Lehman Brothers-style banking-system meltdown. Italian officials also feared that a precedent for losses in Greece would scare investors away from Italy’s bonds. Three weeks after the Washington gathering, on Friday, May 6, panic erupted. German news weekly Der Spiegel reported that Greece was thinking of leaving the euro zone, with policy makers heading to a secret meeting that night in Luxembourg. The report was half-right. There was a meeting, but Greece was staying put. Inside a country chateau, top euro-zone officials told Greece’s finance minister they expected deeper austerity and faster reforms in return for a new aid package. Then Mr. Schäuble said he wanted to discuss how bondholder burden-sharing would work. The usually smooth-mannered Mr. Trichet lost his patience. “I want to put my position on the record,” he said: “I don’t agree with private-sector involvement, so I won’t take part in a discussion about the practicalities.” He stormed out. Mr. Trichet’s assent was vital. If the ECB were to stop accepting Greek bonds as collateral for its lending to banks on the grounds that the bonds were in default, then Greece’s banks, which were stuffed full of their government’s bonds, would quickly run out of cash and collapse. That would radically drive up the cost of a rescue. In Greece, a new wave of mass strikes and demonstrations was starting. Protesters, angry about Europe’s imposition of extra spending cuts and tax hikes, clashed with police in front of the Athens parliament in the biggest and most violent protests in a year. Spanish and Italian bond prices remained stable. But Europe was at a dangerous impasse over Greece. Many euro-zone governments hoped Mr. Strauss-Kahn could find a way to relax the IMF’s summer deadline. The IMF chief was due to discuss the matter with German Chancellor Angela Merkel in Berlin on May 15, and with euro-zone finance ministers in Brussels the next day. The IMF sent a lower-ranking official to Brussels in his place who had no latitude to deviate from the IMF’s deadline. In Athens, meanwhile, a tent city of the “Indignant” protest movement—a groundswell of anger at the country’s impoverishment—sprang up outside parliament. Spain’s bond prices began to wobble as investors worried that other countries might also face debt restructuring. On June 1, Mr. Schäuble’s deputy, Jörg Asmussen, presented a German plan at a meeting of finance officials in Vienna, at the Hofburg palace of the former Habsburg emperors. It involved pressuring Greece’s bondholders to swap their Greek debt for new IOUs that would come due far in the future. That would cut the amount of European taxpayer funding Greece would need. After a meal in a palace banquet hall, the officials quarreled into the wee hours. For the ECB, Mr. Trichet’s deputy Vitor Constâncio, of Portugal, denounced the German plan as “dangerous.” Credit-rating agencies would declare Greece to be in default on some of its debts—a so-called selective default. In that case, Mr. Constâncio warned, the ECB would refuse to accept Greek government bonds as collateral, dealing a death blow to Greek banks. France, Italy and Spain all supported Mr. Constâncio. Greece was descending into chaos. Embattled premier George Papandreou’s slender majority in parliament was fraying. On June 15, a swelling demonstration in Athens’s central square veered out of control. Alone in his office, Mr. Papandreou phoned the parliamentary opposition leader and offered to make way for a national-unity government. Talks broke down, and the Greek government limped on badly wounded. Even Ms. Merkel had some doubts about her finance ministry’s hard-line insistence that Greece’s bondholders take a loss. On June 17, she discussed a softer plan with French President Nicolas Sarkozy: a gentleman’s agreement under which Greek bonds would be honored but the bondholders would volunteer to buy new ones. Mr. Schäuble pushed back. The veteran conservative politician was Berlin’s biggest supporter of the European dream, but he was also the keeper of Germany’s purse. He was determined to make banks share the burden with German taxpayers, and he didn’t trust them to keep a gentleman’s agreement. When finance ministers met again on June 20, Mr. Schäuble pushed harder. Greece’s bondholders should be told not merely to accept a delay in repayment, he said, but also to forgive some Greek debt—a so-called haircut. As Greece’s economy moved toward free fall, its debts were soaring beyond the country’s ability to pay, the Germans and their northern allies argued. Mr. Trichet and the southern countries resisted. Talks dragged on for hours. The ministers knew they couldn’t leave without some agreement. They tried to please everyone: Greece would get more aid. Bondholder losses would be substantial, to placate the Germans, Dutch and Finns. But as the ECB insisted, they would avoid pushing Greece into selective default. Investors knew you couldn’t have it both ways. As the threat of a Greek debt restructuring sank in, Southern Europe’s bond markets grew volatile. Spain’s 10-year bond yield rose above 5.6%. Italy’s reached 4.9%. Greece’s parliament debated the extra austerity measures that Europe demanded. Central Athens erupted in violent protests. Anarchist youths tore up chunks of paving stone and threw them at riot police, who fired back with tear gas and stun grenades. Café parasols burned. Europe hadn’t resolved how to keep Greece afloat. The IMF—whose demand for a decision had set off the whole argument—softened its ultimatum. IMF officials said they were satisfied that Europe would sort out some kind of new bailout, and wired Greece its summer aid payment on July 8. It wasn’t enough to calm markets. Spain’s bond yield hit 6.3%. Italy’s rose to over 5.8%. Such borrowing costs, if sustained, would make it hard for both countries to rein in their debts. The selloff in bond markets forced leaders to call an emergency summit for July 21. Determined not to let the summit pass without an agreement, Ms. Merkel invited the French president, who objected to the German push for bondholder losses, to Berlin. The pair and their advisers met for dinner in the German chancellery the night before the meeting. Few of them had time to touch the duck breast and vegetables on their plates as they searched for a compromise. Finally, Mr. Sarkozy said he would accept the private-sector involvement—if Ms. Merkel dropped her resistance to giving the euro-zone bailout fund broad new powers to buy debt of weak countries directly and move to protect such countries as Spain and Italy from bond-market contagion. Ms. Merkel agreed. One more person needed to sign off. Ms. Merkel phoned Mr. Trichet at his Frankfurt office. He took the last Lufthansa flight to Berlin and arrived at the chancellery around 10 p.m. Reluctantly, Mr. Trichet gave his OK. But he set conditions. Governments would have to insure Greek bonds against default so that the ECB could continue to accept them as collateral. And they would have to make plain that no other euro country but Greece would have its debts restructured. The trio’s deal was both complicated and vague. Their staffs had little time to flesh out details before the next day’s summit in Brussels. As leaders trickled into the European Union’s boxy headquarters, Ms. Merkel faced a challenge to placate the euro zone’s south, which thought private-sector involvement was dangerous, and its north, which thought it didn’t go far enough. When the leaders assembled at the sprawling summit table, Ms. Merkel admitted that the specter of bondholder losses was causing market unrest. But, she said, some Greek debt relief was essential. Without it, the bailout’s tough austerity conditions—made tougher by Greece’s missing its budget goals—would be seen as unbearable. Finnish premier Jyrki Katainen also complained. His parliament wanted collateral in exchange for more Finnish lending to Greece. “No collateral, no agreement from me,” he said. Mr. Sarkozy was peeved. “All our parliaments can cause problems,” he said. Then it was Slovakia’s turn. Prime Minister Iveta Radičová was fighting to keep her coalition together over aid for Greece—a richer country than her own. Adding more powers to the bailout fund “would be suicide,” she said. Greece’s Mr. Papandreou pleaded for help. “If we can’t solve even Greece, we won’t be seen as being able to solve anything else,” he said. Hours later, the leaders had a communiqué. To appease the holdouts, it left key points broad and noncommittal, offering the possibility of collateral to Finland and describing the complex bondholder deal in a few strokes, vague language that would return to haunt the bloc. Officials struggled to explain the new Greek bailout and the bondholder losses. Amid the confusion, Mr. Rutte dispensed muddled numbers. Bank analysts put out flawed reports. Investor confidence faltered as it became clear that Europe’s compromise achieved the worst of all worlds. Greece would be pushed into a historic default—the first time in nearly 60 years that a developed, Western country wouldn’t honor its debts. But the default was so small that Greece was still left with a crushing debt burden. And then official Europe went on vacation: Ms. Merkel to the Italian Alps, Mr. Sarkozy to the French Riviera. Bondholders didn’t. They went on a rampage. This article was written by Charles Forelle and Marcus Walker. Stephen Fidler, David Gauthier-Villars, Sudeep Reddy and Brian Blackstone contributed to it. 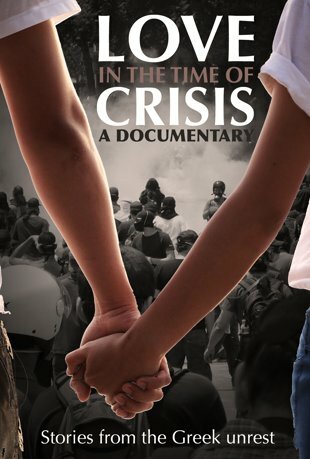 Wall Street Journal also produced this documentary, called “Europe at the Brink” in which WSJ editors and reporters examine the origins of Europe’s debt crisis and why it spread with such ferocity to engulf much of the continent and threaten the entire world. Another article, this time from New York Times’ Landon Thomas Jr., talking about the possibility of a military coup in Greece (see this and this for previous mentions). It would be Europe’s worst nightmare: after weeks of rumors, the Greek prime minister announces late on a Saturday night that the country will abandon the euro currency and return to the drachma. Instead of business as usual on Monday morning, lines of angry Greeks form at the shuttered doors of the country’s banks, trying to get at their frozen deposits. The drachma’s value plummets more than 60 percent against the euro, and prices soar at the few shops willing to open. Soon, the country’s international credit lines are cut after Greece, as part of the prime minister’s move, defaults on its debt. As the country descends into chaos, the military seizes control of the government. Last Monday, a young man from the north-western Greek city of Ptolemaida committed suicide. He was 37 years old and was facing serious economic problems. He constructed a makeshift gallows at home and hung himself. Seconds before he sent an SMS to the wife of his brother who arrived at his apartment and saw him dead. A note was found next to him where he explained that he took that decision because he couldn’t take it any more being chased by the banks for his debts. Two days earlier, on Saturday night another man in the nearby town of Proastio Eordeas committed suicide for similar reasons. He was 58 years old and was found hanged inside his home’s garage by his daughter. The Police hasn’t found any clues that would connect the deaths to an assassination or accident. They are the two last additions to a long list of suicides which have taken place in Greece due to the economic crisis. Even though we are discussing the consequences of a capitalist phenomenon, I will paraphrase Stalin’s famous quote and say “When two men die it is a tragedy, when thousands die it’s statistics”. According to Kostas Lolis, Director of Sismanoglion Hospital’s Psychiatric Clinic, in 2009 there has been about 1 suicide per day in Greece. In 2010 this number was doubled. This is generally attributed to the economic crisis as media reports often mention suicides of either businessmen who went bankrupt or people who were unemployed for a long period of time. The island of Crete has a special mention in this (although there is no explanation as to why the number is higher there). Additionally, the number of people who called the “1018” emergency number to seek advise on the issue, has also been doubled in 2010. The study of Mr. Lolis can be found here (in Greek. Here’s a very interesting article from BBC on the possibilities of a bank run. I suggest to anyone interested in the Greek and European financial crisis to read it. The article was written by Laurence Knight, BBC Business editor. R is for run. As in bank run. If you’re wondering what a bank run is, think of Northern Rock. It is a sensitive topic, not least here at the BBC. But it is a subject that is being increasingly discussed by investors and economists in the eurozone. One can assume it is also being discussed in private by European policymakers too. Because the fact is that Europe’s banks already face what amounts to a slow-motion run by big institutional investors. They’re not queuing up at branches. Instead they are withholding their money at the click of a mouse. Major US money managers and lenders are pulling out of the eurozone, as is clear from the cost to eurozone banks of borrowing in dollars right now, which has returned to extreme levels last seen during the global financial crisis. Moreover, data from the European Central Bank (ECB) suggest that Europe’s banks themselves are losing confidence in each other – though not yet quite as badly as in 2008. They have increasingly been putting their cash in the safe hands of the central bank, rather than lending it to each other, despite the punitively low interest rate the ECB pays them. A short documentary I filmed on political graffiti in Athens. Read more about The Wake Up Call here.